Cardiff City’s foray into the top 17 of the Premier League was a short-lived one. In the lunchtime game, Neil Warnock’s side briefly lifted themselves out of the relegation spots with an injury time winner against Brighton, but the afternoon fixtures will keep the Welsh side grounded in the weeks ahead. The turmoil at Newcastle United is evident, with just one win and seven defeats heading into today. Salomon Rondon found some timely goalscoring form to strike twice before half-time against high-flying Bournemouth. He knocked in a rebound for the first within seven minutes, and added another with a fine header a half hour later. Jefferson Lerma got one back before the break, but Rafa Benitez’s charges held out at St. James’ Park for a priceless victory, putting them one ahead of Cardiff who drop back to 18th. That would be the only win to take place in the afternoon. Southampton scored just their eighth league goal in twelve games in their 1-1 draw with Watford, who have yet to win in November. Manolo Gabbiadini did his prospects of starting the world of good with a goal, though it was his strike partner Danny Ings who did so well to initially win back the ball from the in-form Roberto Pereyra in the box. Jose Holebas equalised late on with a deflected shot to put Watford back ahead of Manchester United, who play derby rivals City tomorrow. A struggling Huddersfield Town were unable to keep their slender 1-0 lead over West Ham at the John Smiths Stadium. Alex Pritchard struck in the opening minutes, but the sheers class on display in the Hammers’ frontline eventually told. 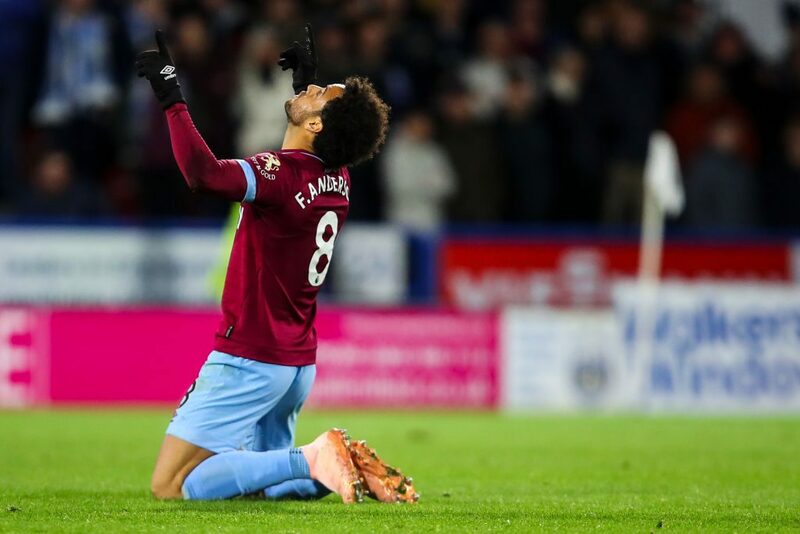 It was third time lucky for West Ham, with Anderson needing to place the ball well to avoid what seemed to be the entire Huddersfield XI in their own box, and he did so with aplomb. Huddersfield stay 19th in the table, but just a point now from safety. A different atmosphere enveloped the King Power Stadium, as Leicester City returned to home action for the first time since the tragic death of their chairman and four other people in a helicopter crash. They played out a 0-0 with Burnley, who have garnered just nine points from their twelve league games so far.